Monet, S.j., Jacques. "James Bruce, 8th Earl of Elgin". The Canadian Encyclopedia, 12 April 2018, Historica Canada. 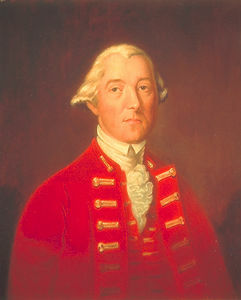 https://www.thecanadianencyclopedia.ca/en/article/james-bruce-8th-earl-of-elgin. Accessed 20 April 2019. The new administration passed the REBELLION LOSSES BILL in 1849, evoking vehement Tory opposition. When Elgin gave the bill his assent, he was attacked by angry mobs and the Parliament buildings in Montréal were burned. 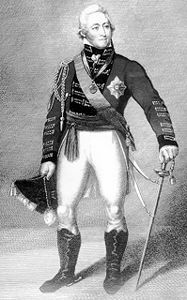 James Bruce Elgin, 8th Earl of, governor general of Canada 1847-54 (b at London, Eng 20 July 1811; d at Dharmsala, India 20 Nov 1863). As a student at Eton and Oxford, Elgin displayed the brilliance that sparked his later reputation as an inspired orator, cultured humanist and judicious administrator. Appointed as governor of Jamaica in 1842, Elgin was named GOVERNOR GENERAL of Canada in 1846 and arrived in Montréal on 30 January 1847. The Colonial Office had previously resisted the concession of RESPONSIBLE GOVERNMENT as demanded by Canadian Reformers, but Elgin and the new Colonial Secretary, Earl Grey, believed it offered the best way to settle Canadian political strife. When the Draper-Viger administration lost the election of 1848 to a Reform majority, Elgin commissioned Louis-Hippolyte LAFONTAINE to form the first truly responsible government. The new administration passed the REBELLION LOSSES BILL in 1849, evoking vehement Tory opposition. When Elgin gave the bill his assent, he was attacked by angry mobs and the Parliament buildings in Montréal were burned. Elgin weathered this crisis without compromise, ensuring that responsible government would prevail. Elgin is also noted for the diplomatic finesse with which he secured ratification by the US Senate of the RECIPROCITY Treaty in 1854, a measure much desired by Canadians at the time as an antidote to economic stagnation. After leaving Canada in 1854, Elgin was special commissioner to China in 1857-59 and 1860-61. In between these appointments he served as postmaster general in the Palmerston Cabinet. In 1862 he was appointed viceroy and Governor General of India. J.M.S. Careless, The Union of the Canadas (1972); Jacques Monet, s.j., The Last Cannon Shot (1969).